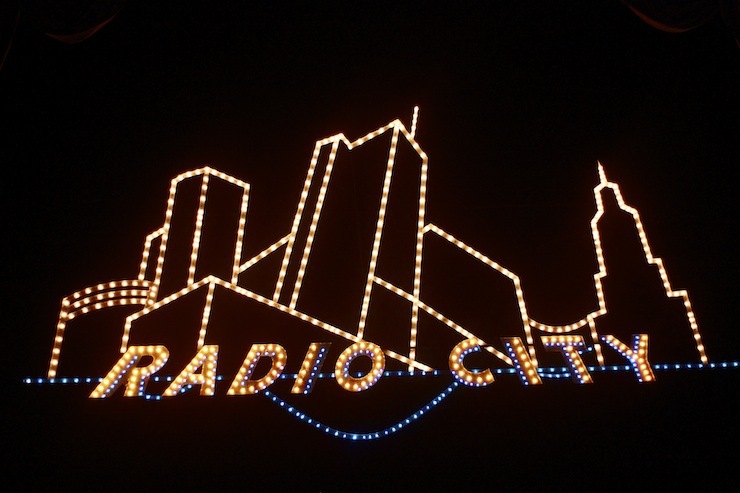 here's something really amazing that you should do if you're ever in the city around christmas time with a large party of christmas party animals: you should see the rockettes. 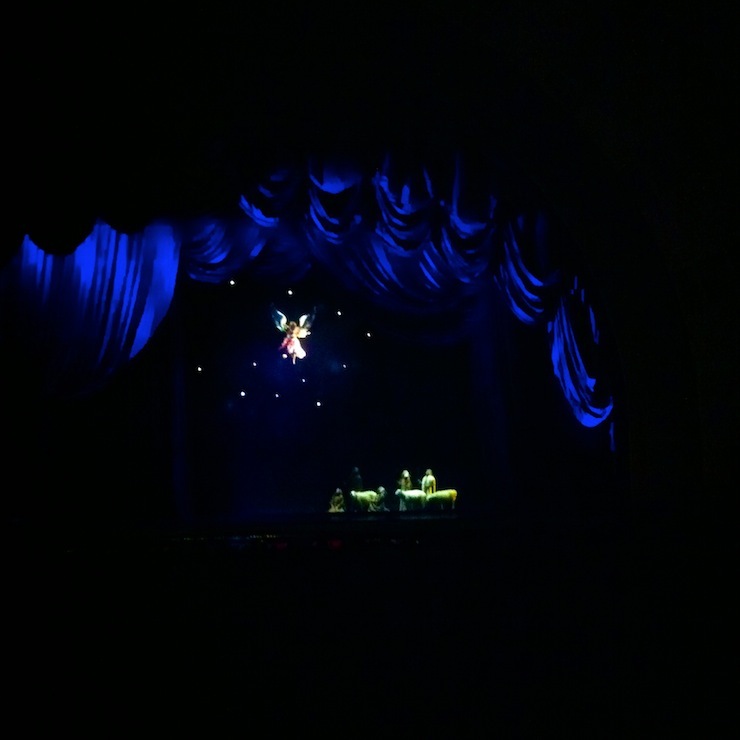 unbelievably, none of us had ever been to see the radio city christmas spectacular, so we started christmas first thing after thanksgiving with an early friday showing. we brought both the boys and they loved it. the bathroom downstairs is super charming. foot pedal operated hand dryers and green tile and art deco wall paper and i have turned into my grandmother with this one, she is always going on about the various public restrooms she's known and loved. the best part of the show is the live nativity. 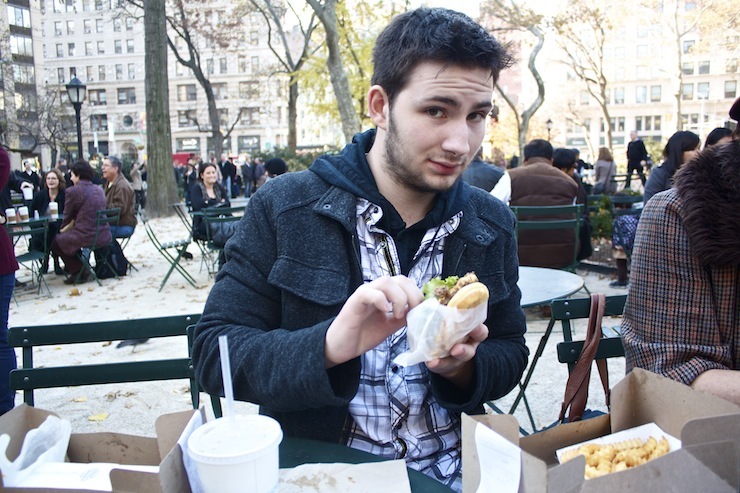 afterward..... a lovin pilgrimage to shake shack! ... and freezing our keesters off on grand adventures downtown. aaaand then they all left me and brandon went back to work and huck and i pouted for an hour or two. family! mi sofa es su sofa! 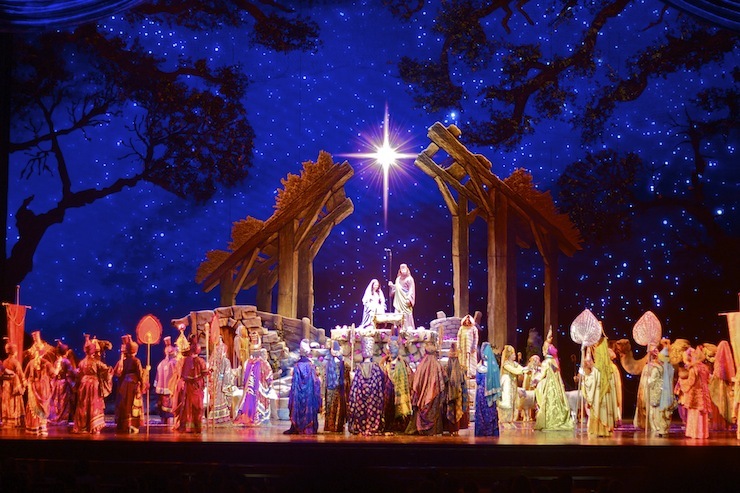 nativity scenes always make me tear up a little bit. it's like nostalgia for something i've never seen the real version of, but love so much! OK... That's it!! Your mum is officially one of the most stylish, classic women I've ever seen. From the neon pink gloves, to the epic hats - it's no surprise where you get your amazing style and taste from! Makes me want to go on a wintery date with my husband! I am digging your, your sister's, and your mom's style! You guys could be a family fashion icon! You have a beautiful family and the cutest little child! Spending time with family is the BEST!! I'm not very hungry for lunch. Thanks for the food pictures. bring on more big photos! LOVE big photos. Your sister is GORGEOUS. Holy cow. the kids looked like they had fun. your family should be in a GAP ad spread! 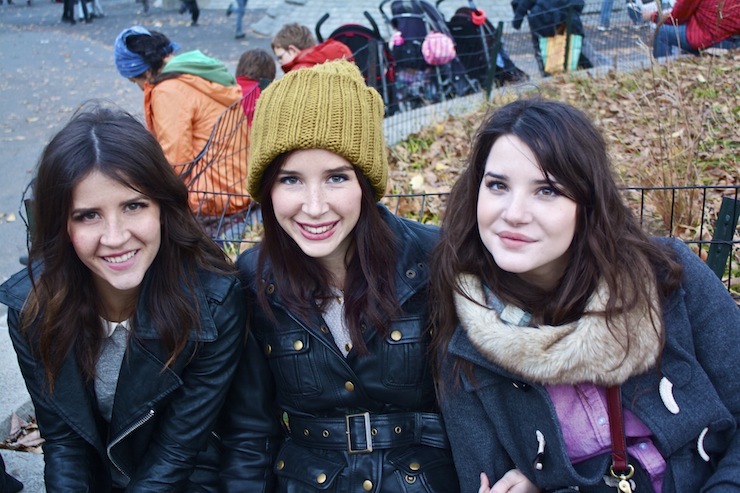 you probably get this a lot, but you and your sisters look related. :) you're a good lookin' bunch! oh my look at those two playing in their diapers-too cute! looks like you guys had the best time! Love family visits like these. OH! The Rockettes! My husband took me to see them this past Saturday for our 1 year wedding anniversary and they were amazing! That picture you posted was from 12 days of Christmas, my FAVORITE part of the show! I tap danced for almost 20 years and stopped after college and oh how it made me miss it like crazy! Your whole family is gorgeous, btw, my my what amazing genes! HOW did you get those pictures of the nativity and stuff?! you are the master of night photos, mine are always blurry beyond recognition. Another great blog post! So can you give me an idea of where you sat for the Rockettes? I'm really considering taking my 4-year-old daughter for a Mommy & Me afternoon but wasn't sure about the seating. Is it true that every seat is a good one? How did the boys handle the lack of intermission for 90 minutes? Just wondering. Anteeway your family is beautiful and your love and enjoyment of each other really shows in these images. Thanks for sharing with us! I can't get over how beautiful you and your sisters are! Holy Moses! 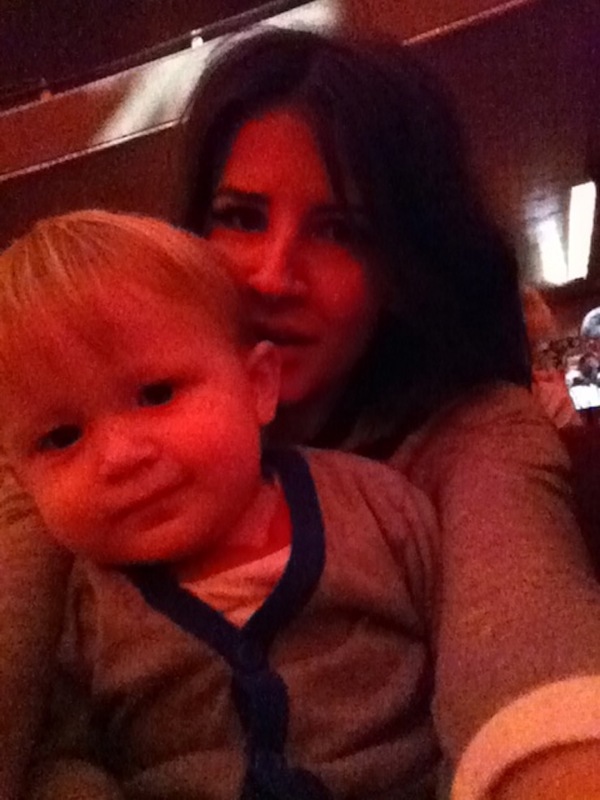 We went to the Rockettes show too! It is actually incredible! Loved it! That live nativity at the end was so touching! Seriously nothing beats having family visit while living in NYC! So, okay, it cannot be said enough: you are one beautiful family! Seriously, stop it right this instant! Glad you had such a blast everywhere -- lovin' (geddit?! :P) these posts! Hahah, looks like Shawnee (above) and I had the same idea -- we must've posted at virtually the same time with the same pun, heh. I always cry at Christmas stuff too!!! Waterproof mascara is a December requirement. When my little boy was 4 weeks old, he was baby Jesus at my church's nativity. I have never cried harder - Christmas, newborn hormones, happiness, exhaustion and my little boy in the manger. Cried my eyes out! I figure I would pass along the tip in case you have some layin' around! You look a lot like your dad! What does your mom do for a living? Besides raising you and your beautiful siblings? In my mind she could easily be a magazine editor...she seems so chic & modern! I like your red nail polish...can you share the color and brand? Thanks!! I love you posts! 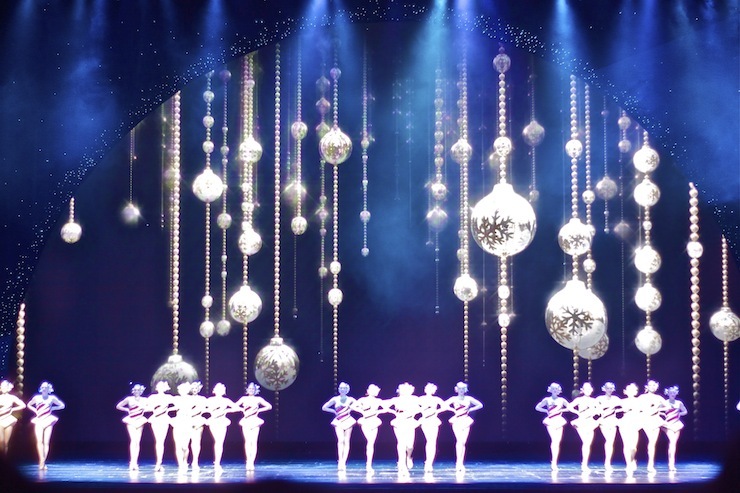 Love the Rockettes Christmas show, love the new side-by-side photo layout ('tis new, yes? ), love the thief-and-bandit leggings. Happy Advent! Did you read the NYTimes story about the camels getting their daily walk on 51st street? Miss Nat: I'm afraid I have developed a horrible crush on the young man I gather is your brother-in-law, the one in the lumberjack shirts. He is beautiful.